I'd never heard of Dani Alexander. I was sure this was some female mf romance writer crossing over to take advantage of the hot mm romance genre. Wow, I couldn't have been more wrong. 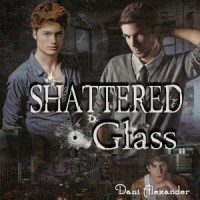 Firstly, Dani Alexander is a man. Secondly, I think he wrote one the funniest, most complex, most original romances I've ever read...or in this case, listened to. I laughed, I cried, I was devastated, I was elated. It was a rollercoaster ride. In the end, I was completely satisfied. And set up for the next in the series, Not So Innocent, which focuses on Cai and Riley. I'm chomping at the bit!